After the final drop of champagne sprays out of the bottle following a World Series win in October, baseball season disappears for a whole four months. Winter meetings, free agency, and college baseball can ease the pain of a life without Major League Baseball, but nothing is quite like the spectacle of major leaguers playing under the lights in front of capacity crowds. Taking four months off of any profession is difficult, but for baseball players, getting back into game shape is a somewhat daunting task. Players go from hitting in cages and pitching in state-of-the-art indoor facilities to scrimmaging against real competition under the sun, in front of thousands of fans. 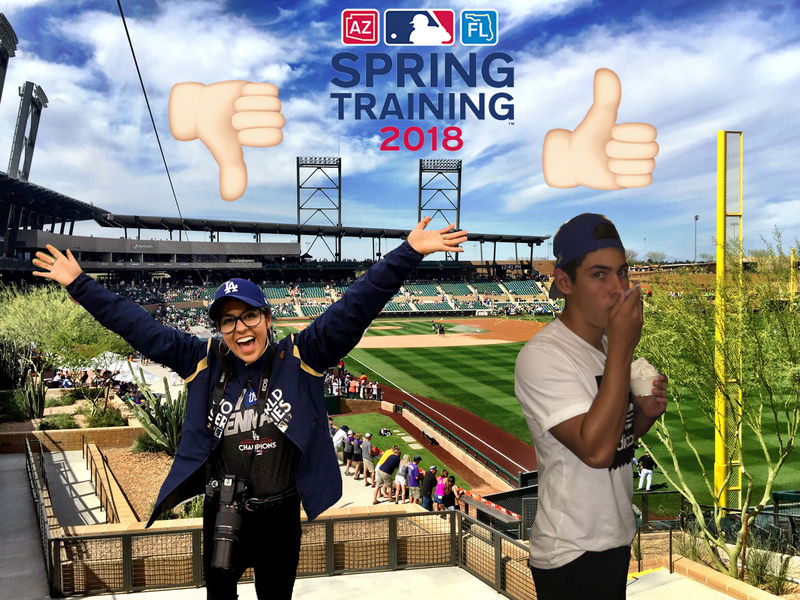 Besides baseball skills, Spring Training allows players to acclimate to the daily rigors that come with being a baseball player. The games are fun for people to watch, but baseball is much more than entertainment; for some, it’s a livelihood. Baseball players might be superheroes in some fans’ eyes, but they’re human. Spring Training gives players a proper time frame to re-adjust their bodies, schedules, and skills. Even though some players suffer injuries during Spring Training, the benefits of Spring Training outweigh its downfalls. Awarding baseball players time to re-awaken their love for their favorite game in the world not only benefits the product they put out on the field, but gives the league a higher entertainment value. This trickle down effect eventually reaches the fans, leading to higher revenue for teams around the league. For players, management, and fans, Spring Training offers a catalyst to start baseball season on the right foot. Rabid baseball fans recognize beauty in the MLB minor league system (MiLB). The minors give new players the opportunity to kickstart their careers and offers experienced players the chance to resurrect their once glorious images. Although MiLB isn’t covered by most popular sports media outlets, the league carries a large following amongst baseball fans. Spring Training allows minor leaguers to step into the spotlight and display their talents on a national stage. Most minor league players never make it to the major leagues, so for minor leaguers to perform in front of America’s most fanatic baseball fans on a somewhat “major league” stage is wonderful to see. Some minor leaguers, like Los Angeles Dodgers’ First Baseman Cody Bellinger, take advantage of Spring Training to elevate their careers by performing exceptionally well during exhibition games. Spring Training also allows fans to watch some of the more unknown names in the professional baseball and gain more knowledge of the sport. Minor leaguers don’t make major league money, get major league sponsorships, or perform in major league crowds, so for minor league players to show their talents in front of major league fans, exemplifies the beauty of “the process”. For some baseball fans, it’s a tradition to travel to Florida or Arizona to indulge in Spring Training. It’s a well-known fact that Spring Training does not really “count”, yet fans flock to watch it every year. Why do some many fans invest their time, money, and energy into a sporting spectacle that doesn’t “count”? Baseball, as many Americans know, is often cited as America’s Game. For over a century, fans have spent countless amount of hours cheering for their favorite teams, even when their teams aren’t vying for a world series spot. The relationship fans form with their favorite teams goes further than an innocent love for a sports. Fans gravitate towards a team they can identify with. Now, most teams who aren’t expected to make an impact during the baseball season usually possess a promising farm system that will transform a team’s competitive edge. Some fans watch for the future, to get a sneak peek of the future glory the organization and its fans will bask in. The best part: the games don’t count. There’s no secret why Spring Training brings in nearly one billion dollars per year. People simply enjoy baseball, especially when the wins and losses don’t matter. So why do so many fans invest their time, money, and energy into a sporting spectacle that doesn’t “count”? Well, some people just love the game that much. The MLB regular season is a 162 game, six-month trek comprised of heartbreaking injuries, bad calls, and boring games, depending on which team you’re rooting for. Spring Training’s six-week, 33 game schedule (roughly 20 percent of team’s regular season), allows veterans to get their legs back, newcomers to make noteworthy impacts on their teams, and fans to appreciate the innocent side of baseball.